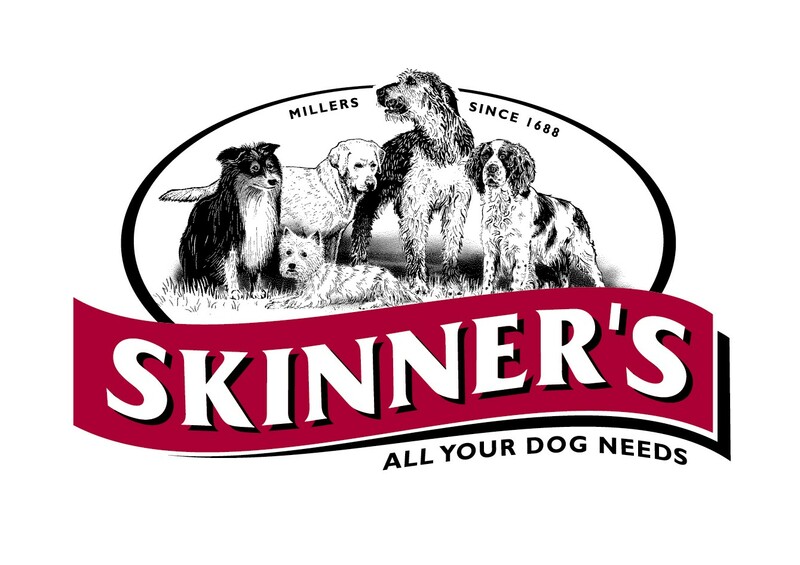 A dry kibble dog food developed to exclude ingredients known to cause sensitivites or allergies. 9 in stock (Available Now). Field & Trial Chicken & Rice is completely hypoallergenic as it has been specifically formulated to exclude ingredients that are known to cause sensitivities or allergies and therefore reduce the likelihood of these associated skin, coat and digestive problems. 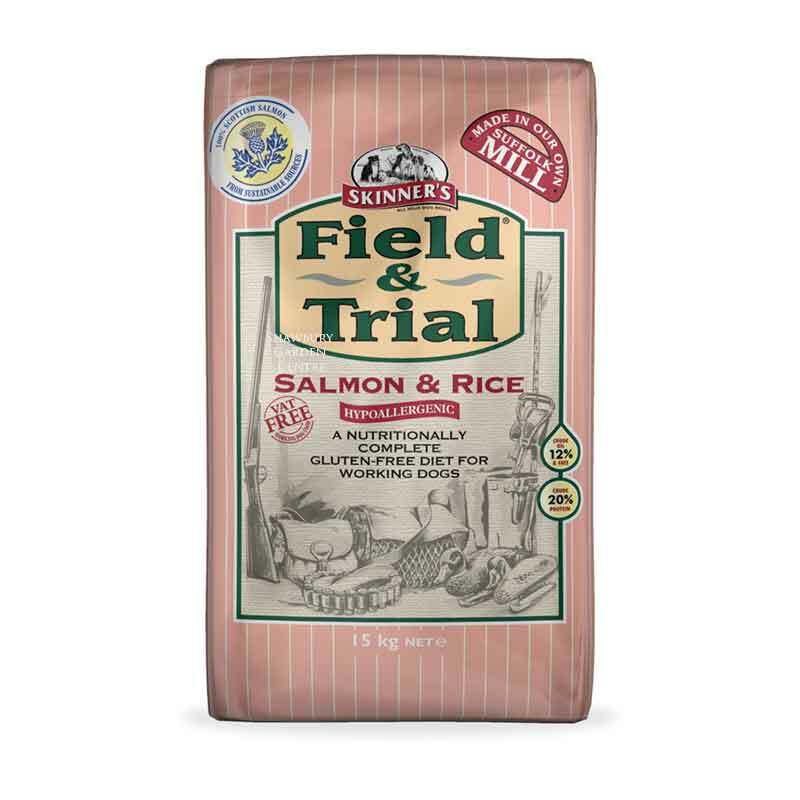 It is free from wheat gluten, maize gluten, barley gluten, soya and dairy products. 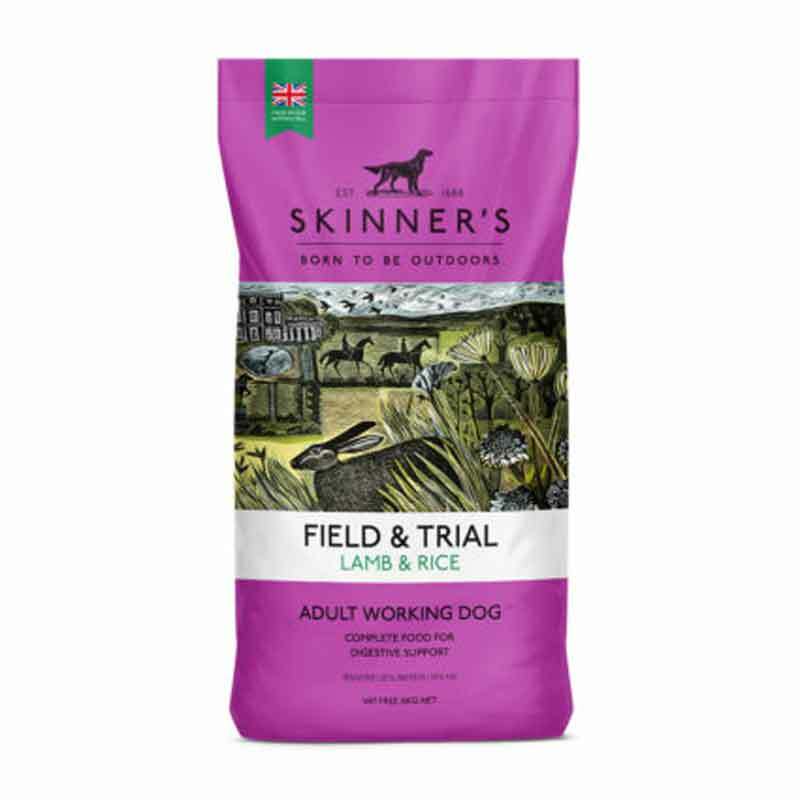 Brown Rice (39%), Chicken Meat Meal (22%), Naked Oats, Peas, Whole Linseed, Beet Pulp, Sunflower Oil, Vitamins, Minerals and Trace Elements, Culinary Herb Mix. Recommended feeding: 100gm per 8kg of target bodyweight, split into 2 meals per day (nutritional requirements of working dogs can vary according to the season, level of work undertaken, gender, age and breed). 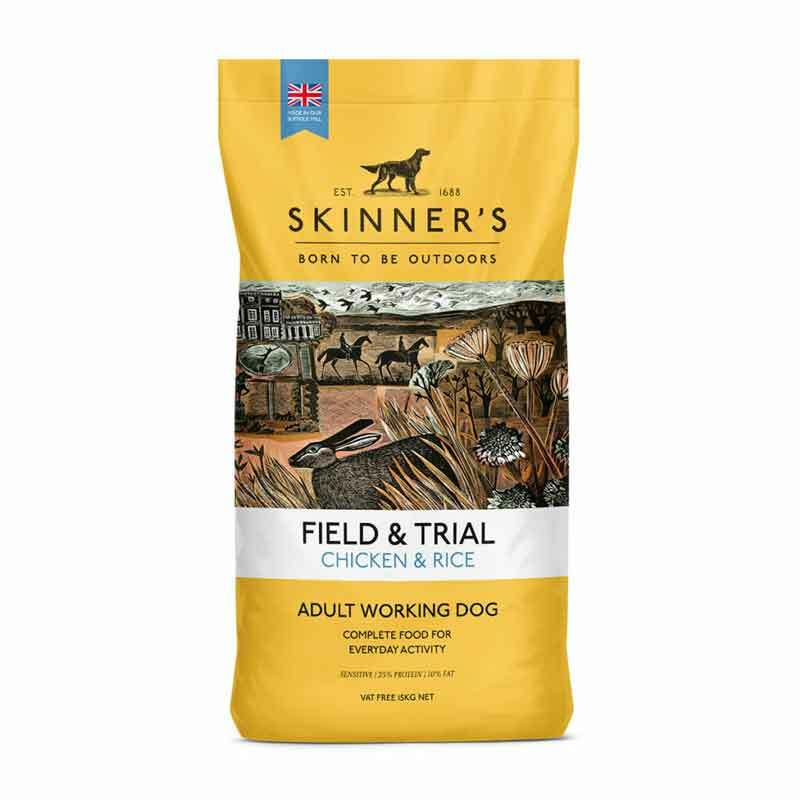 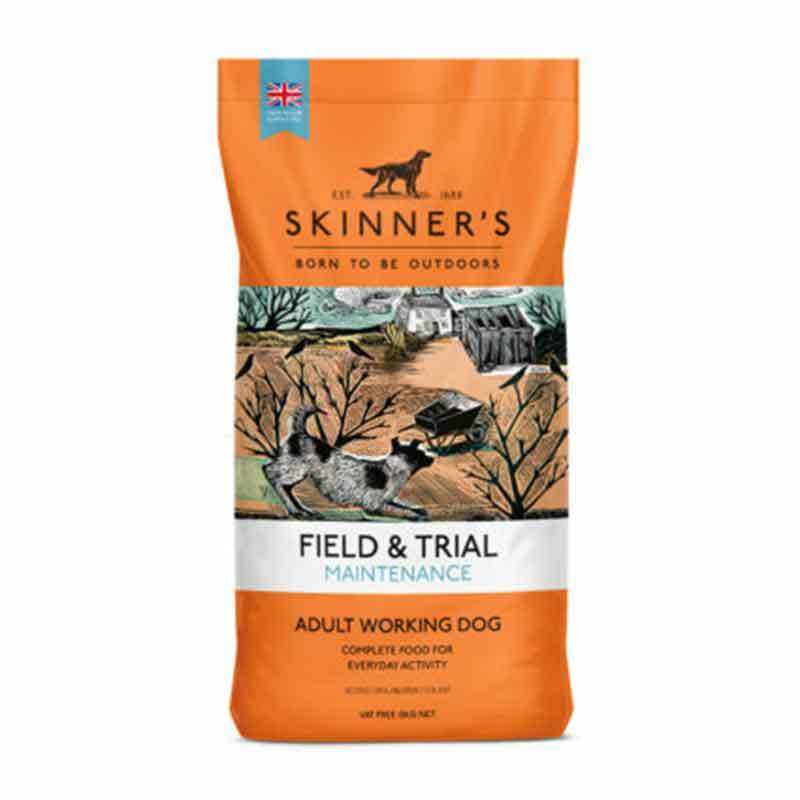 If you would like further information about Skinners Field & Trial Chicken & Rice Dog Food, please contact our garden centre at Shawbury just outside Shrewsbury in Shropshire, by calling 01939 251315 or emailing.